Ever opened a nice bottle of wine but didn’t quite finish it, only to let it go to waste within a day? 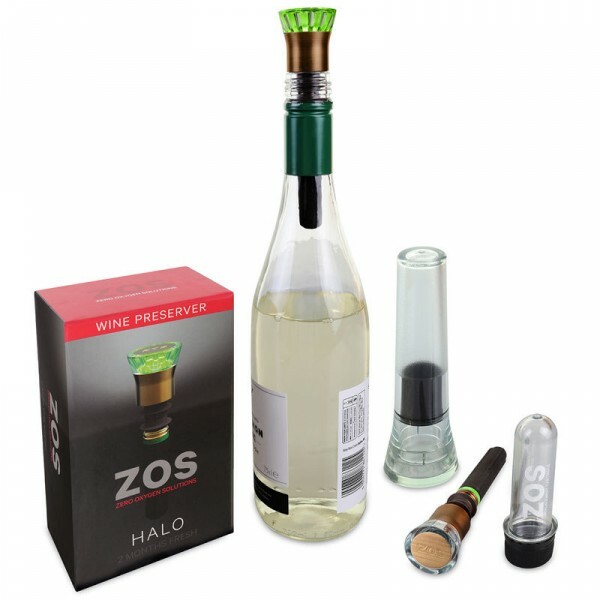 ZOS has created the new Halo Wine Preserver, an easy to use wine-preservation system which will keep each glass tasting as good as the first. The new halo by ZOS is the only solution which eliminates 100% of the oxygen from an opened bottle of wine to preserve it for weeks to months. The Halo simply inserts into the bottle like a stopper. The cartridge contains a patented, nontoxic material which absorbs 100% of the oxygen in the wine bottle, stopping the oxidation process, which can extend the life of wine for an additional 2 months. The Halo won’t impact the taste of your wine and is completely safe for any food product. The cartridge will last up to a dozen or so bottles, depending on usage and exposure to oxygen in between bottles. Store vertically to allow the cartridge to interact with the oxygen and to prevent leaking. The kit includes a testing holder which will evaluate the cartridge after each use. The indicator light on top will turn bright green or red; indicating if the cartridge is still good to use, or ready for replacement. After each use, simply clean off using a damp cloth. No more wasteful spending on high dollar wines that spoil! As soon as a bottle of wine is opened, it is exposed to air and begins to oxidize and change taste within a couple hours and spoil within a day or two. 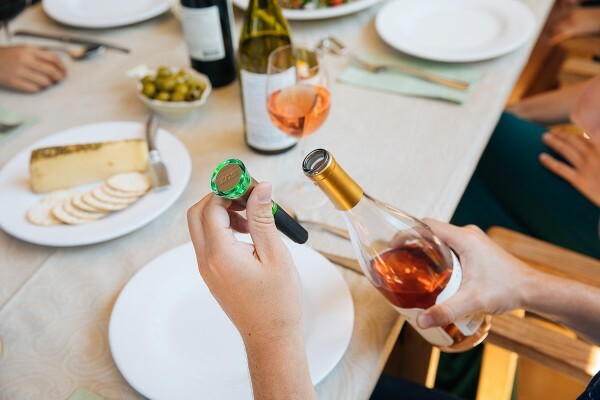 By inserting the Halo wine stopper and oxygen-absorbing cartridge into the bottle, wine drinkers can now enjoy their wine one glass at a time. Perfect for use during the holidays or as a last minute gift!